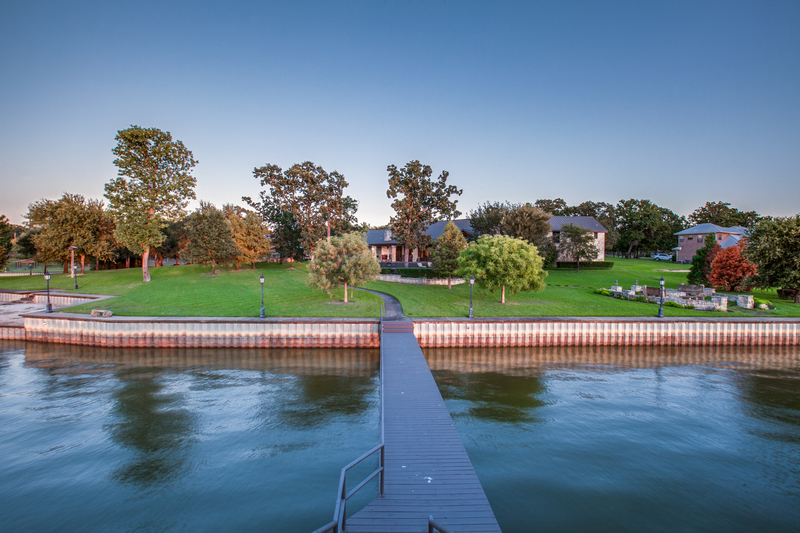 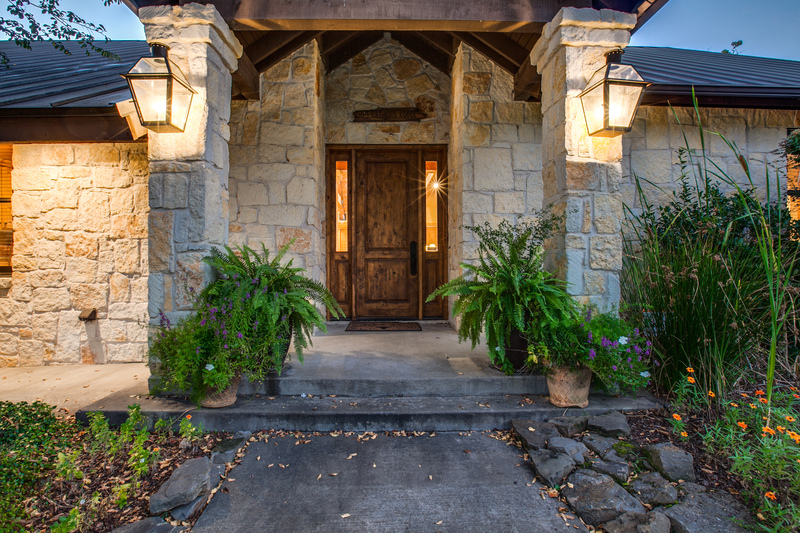 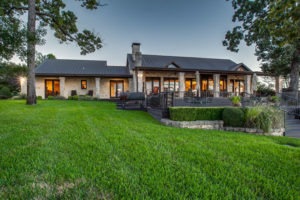 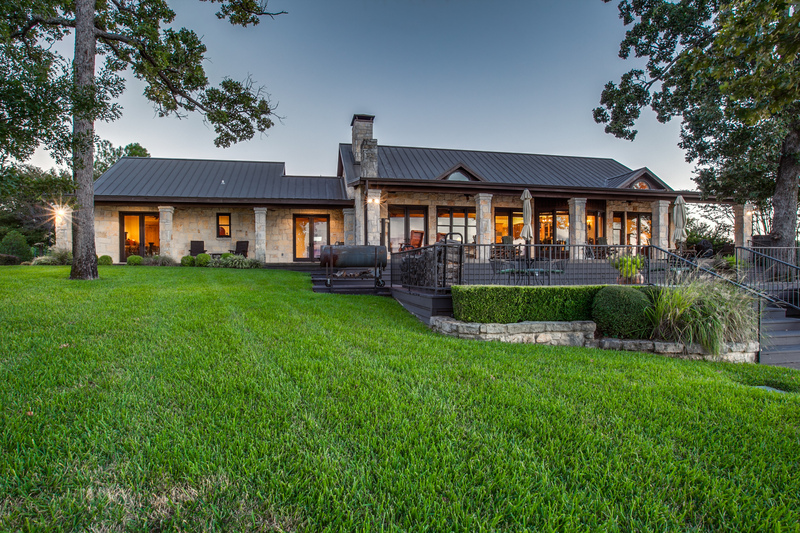 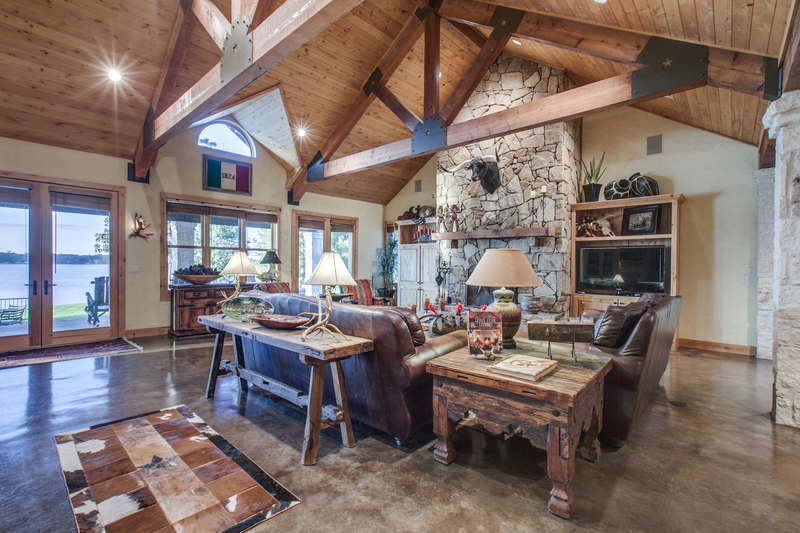 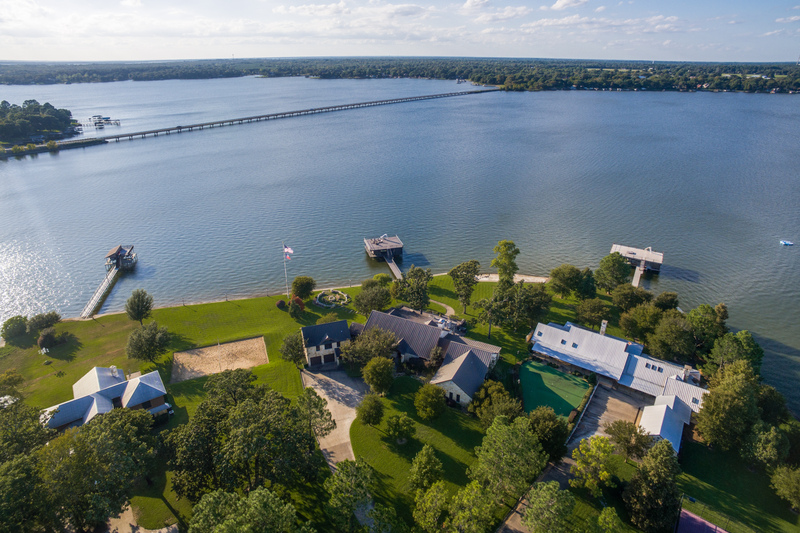 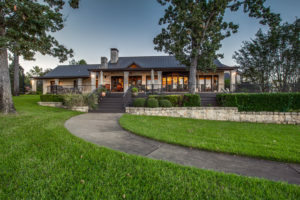 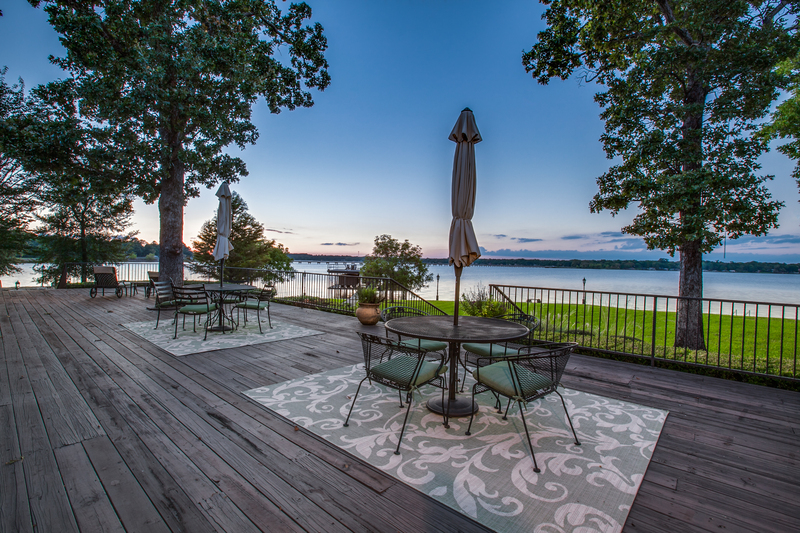 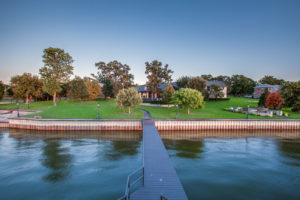 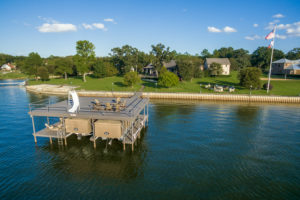 The lakehouse is located on the southeastern shores of Cedar Creek Lake, less than 1.5 hours southeast of Dallas. 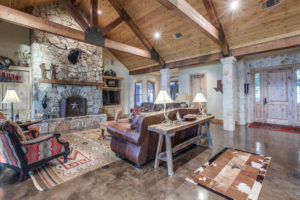 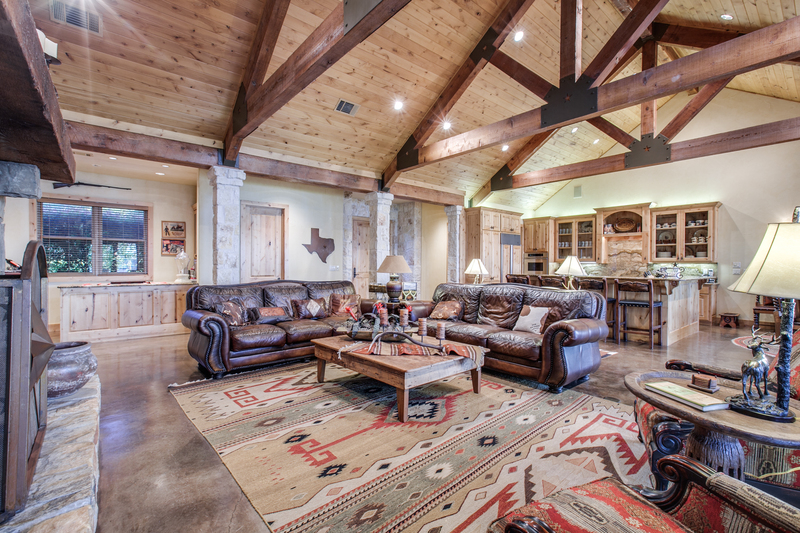 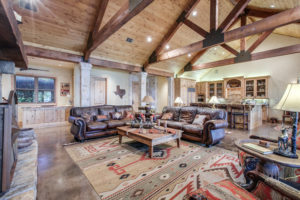 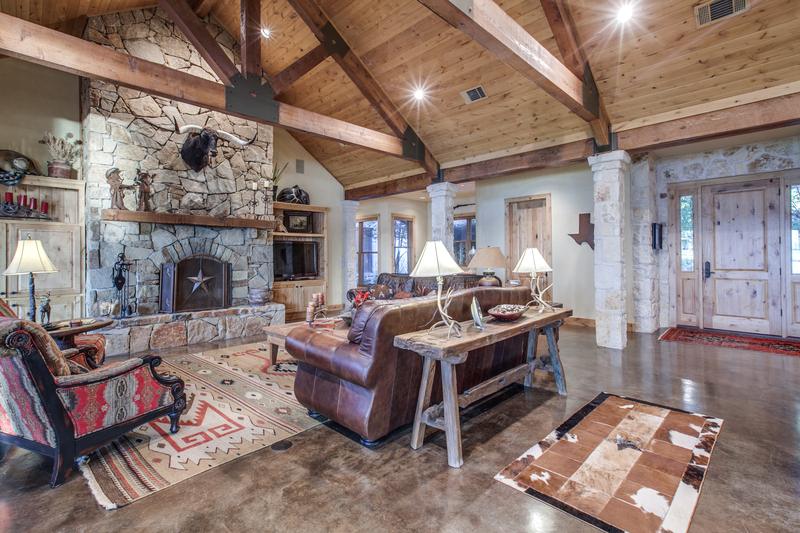 The physical address of the property is 5663 Lakeshore Court, Log Cabin, 75148, Henderson County, Texas. 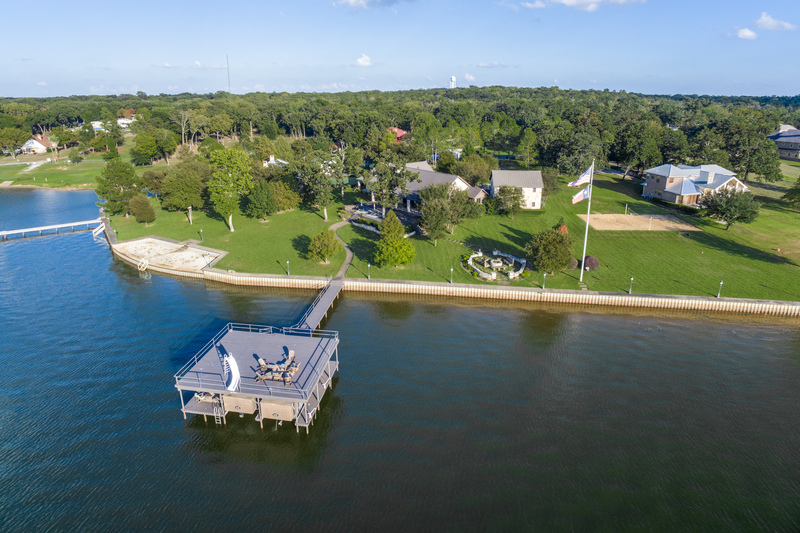 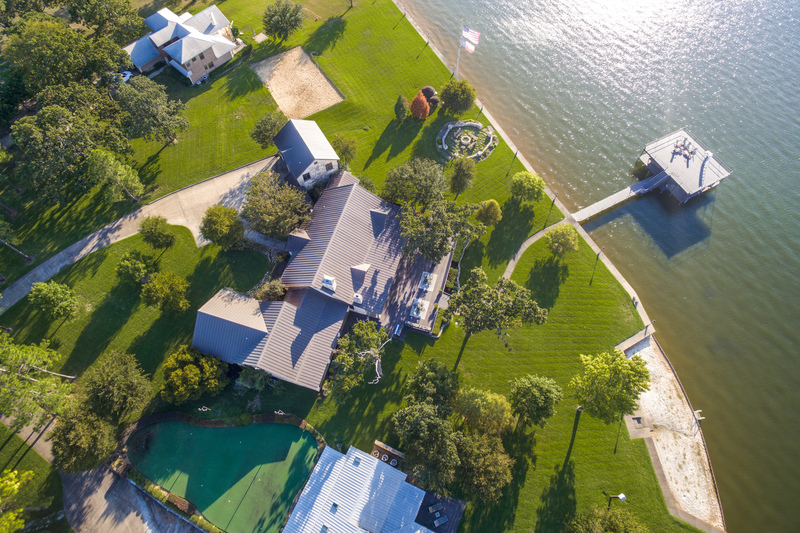 The site (comprised of three contiguous lots) is pie shaped and total 1.5 acres with 346 feet of shoreline along Cedar Creek Lake, and 397 feet deep on the northeastern property line and 326 feet of depth along the southern property line. 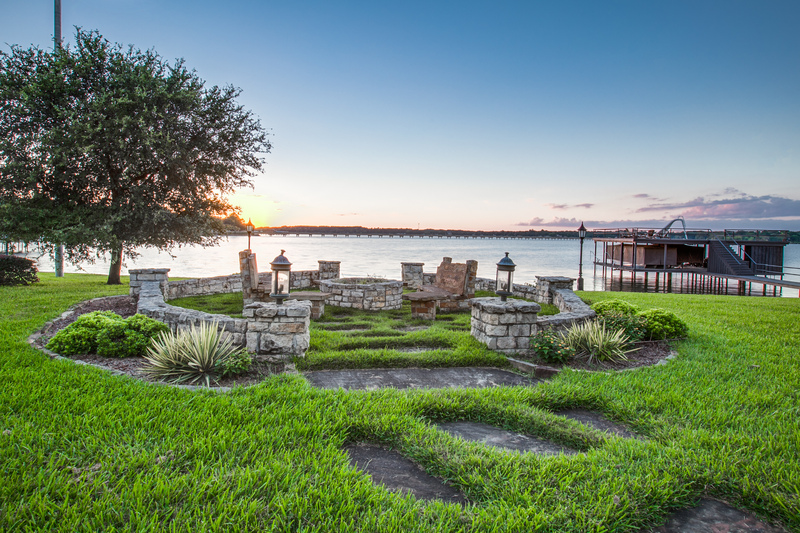 The shoreline has an nice retaining wall to prevent erosion. 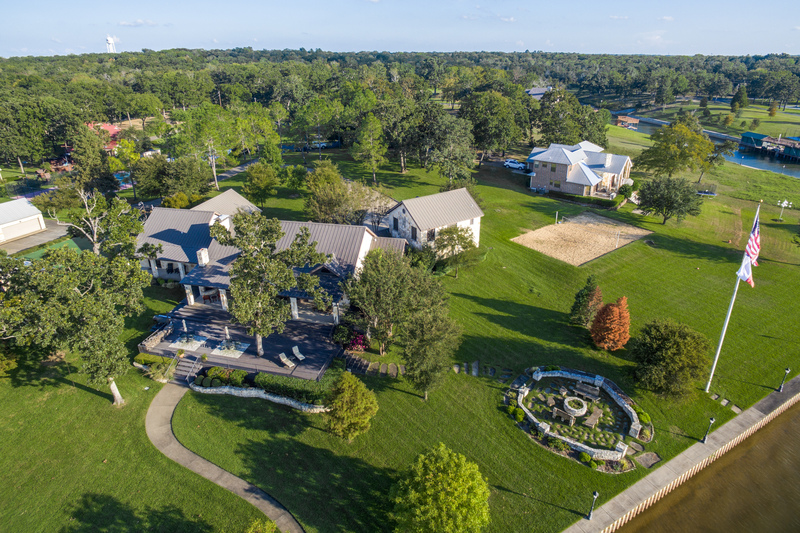 The property is within the gated Woodland Shores Estates and accessed by an asphalt paved road to the concrete paved driveway. 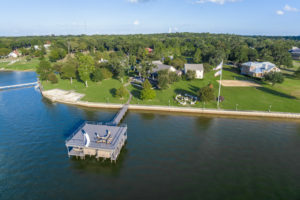 The site drains well and slopes from the road to the lake. The lot is attractively landscaped with Saint Augustine grass and assorted trees, with flower beds around the house full of bushes, shrubs and flowers. 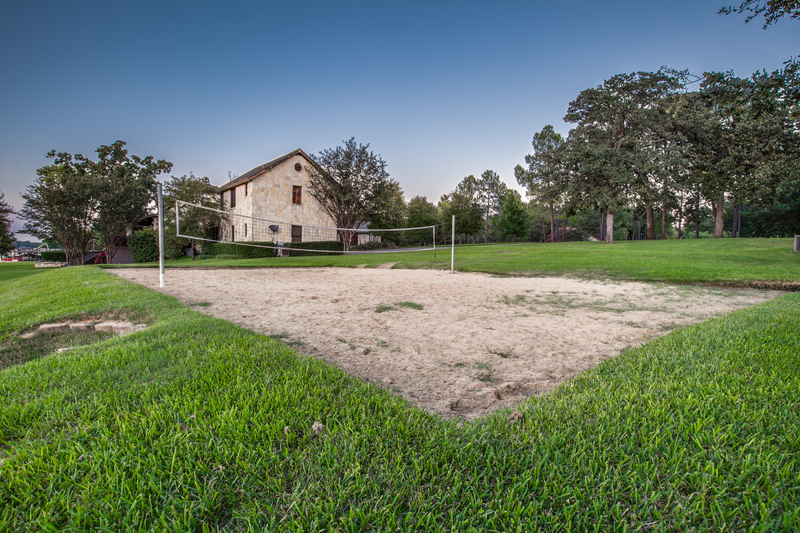 The yard and beds are fully irrigated. 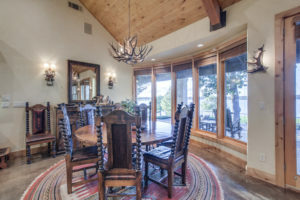 The beautifully designed and constructed house has a southwestern architectural style, was competed in 2002 and been meticulously maintained. 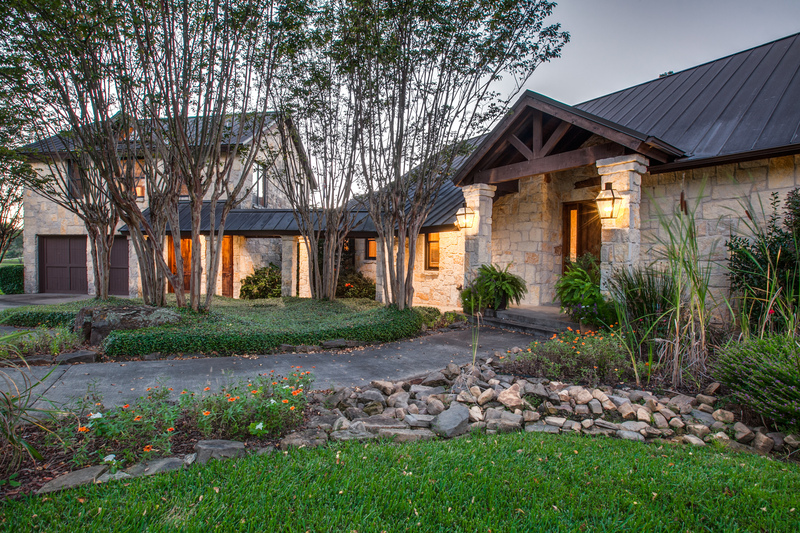 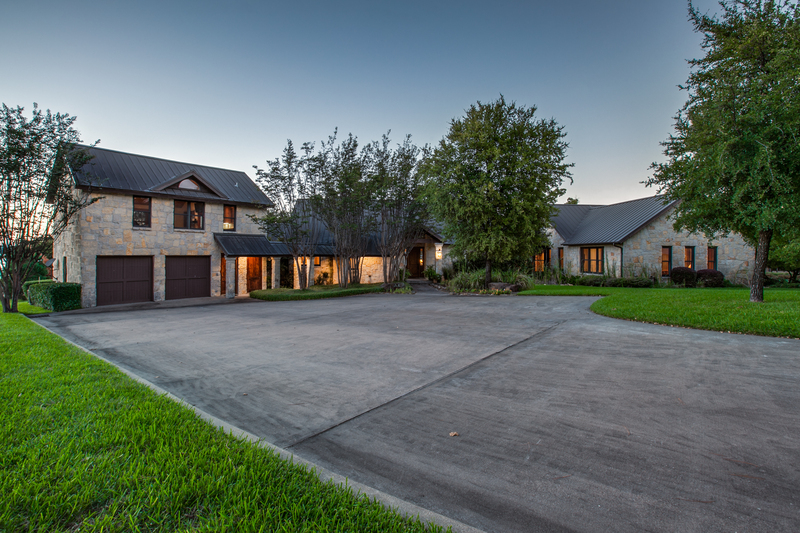 The house and garage have stone exterior walls and a metal roof with long covered porches and walkways. 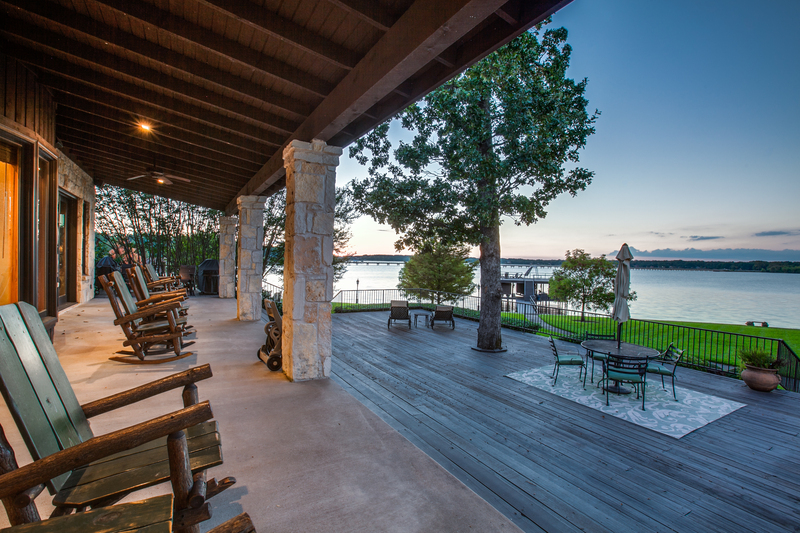 The views from the covered porch (complete with WBFP) and patios overlooking the lake are fantastic. There is also a large stone fire pit and sitting area, a sand volley ball court and a sandy private beach which is shared with the neighbor. 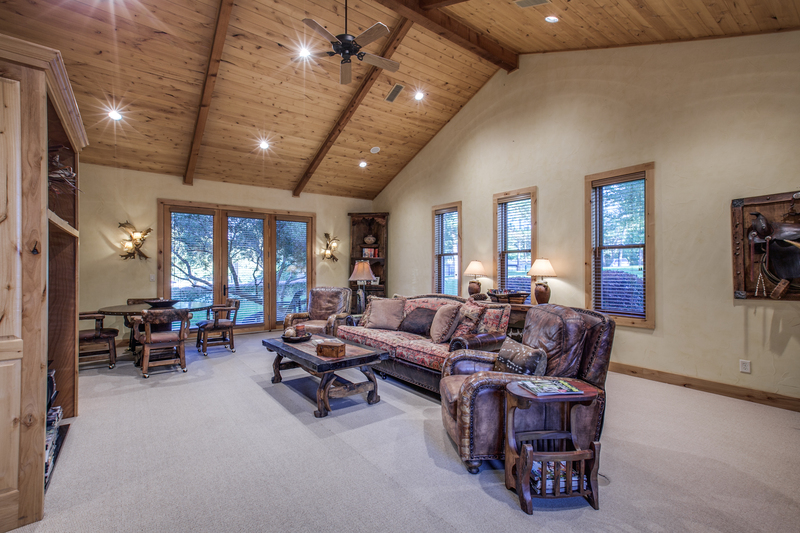 The 4 bedroom, 4.5 bath house has an open floor plan and made for entertaining. 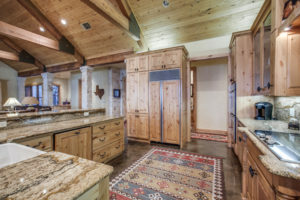 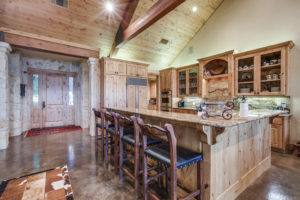  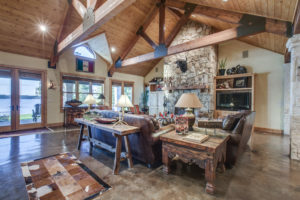 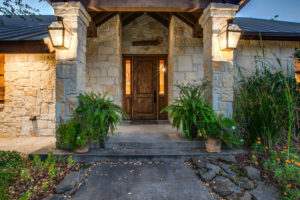 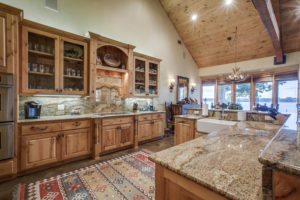 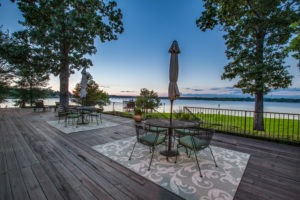 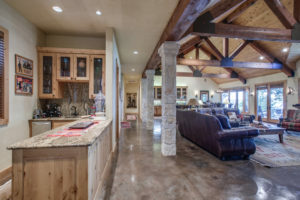 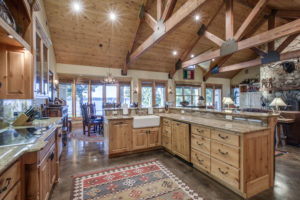 The kitchen with all the modern appliances, custom cabinets and granite counter tops is part of the great room with vaulted wood beamed ceilings, hand scraped wood floors, large WBFP and walls of glass overlooking the yard and lake. The wet bar with built in wine cooler and sink also overlook the great room. 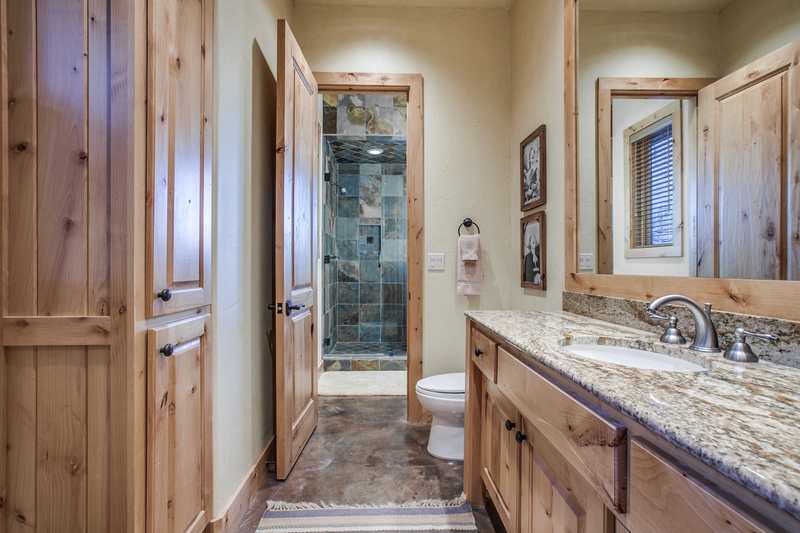 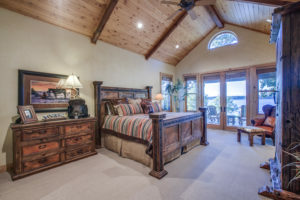 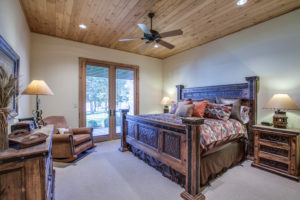 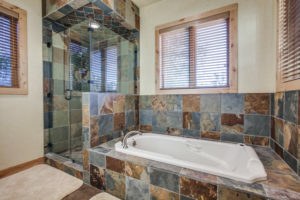 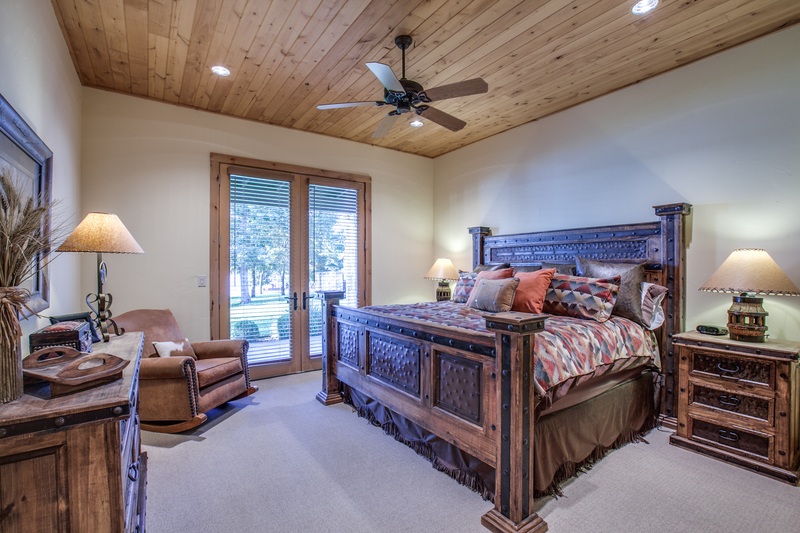 The large master bedroom with a fireplace has a separate shower and tub and his and hers closets. 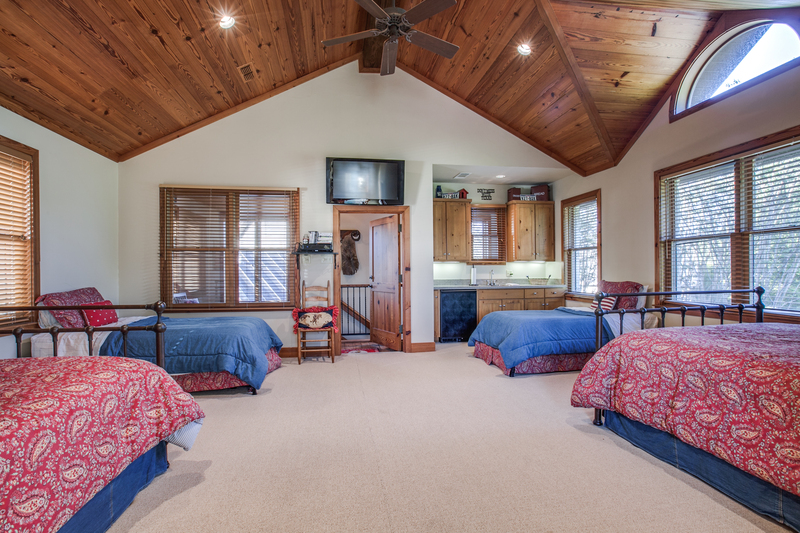 Three additional bedrooms all have their own bathrooms and adjacent to a gameroom/den. The oversized two car garage is adjacent to the house and accessed by a covered walkway. 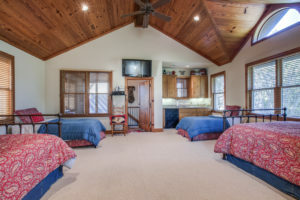 There is a large room, currently used as a bunkroom, with full bathroom above the garage. 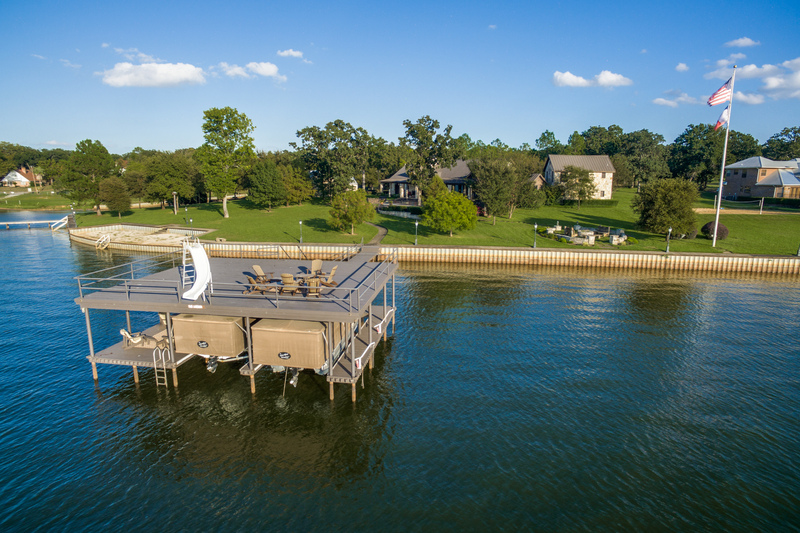 The double boat house with touchless covers, storage and sink has a slide and party deck above.